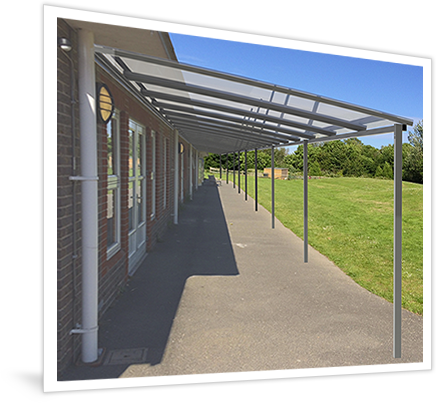 Simply take a photo of the area you would like a walkway, shelter or canopy in. Try to provide a few shots from different angles - the more we know about the area, the more detailed we can be! 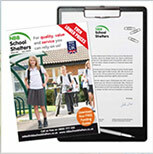 Send your photos, area measurements and requirements to sales@nbbschoolshelters.co.uk. We'll take a look at this and get in touch if we need anymore information from you. We will raise a free no obligation estimate usually within a couple of days after receiving your information. 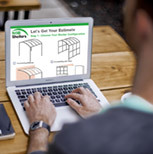 Inside your estimate pack you will find useful information such as case studies, and links to free downloadable guides. Can’t find what you are looking for? After something a little different? 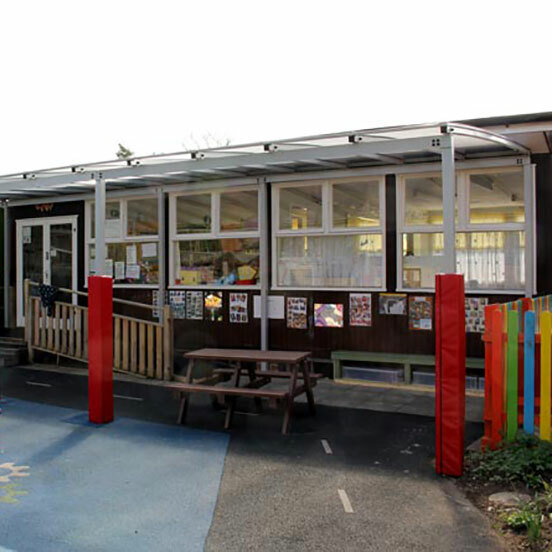 Our bespoke shelter service will allow you to utilise your unused space and unleash your school's 'hidden' potential! 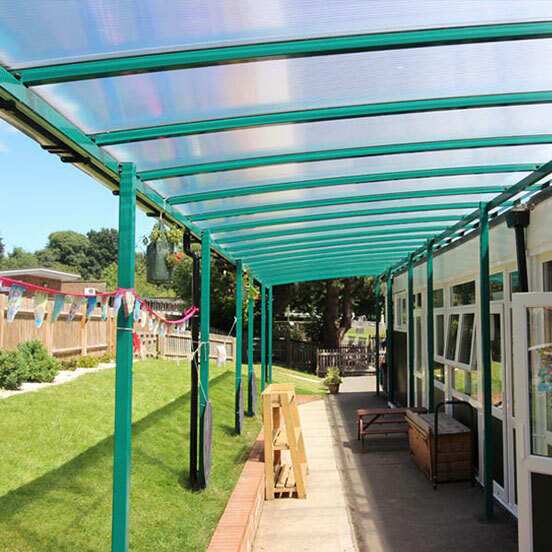 From design to installation, we are on hand with advice on styles, configurations and finishes to ensure your shelter is perfectly tailored to your requirements. Starting with a free no obligation estimate request to establish what you are looking for, our team will then visit your site and discuss your shelter specifications. 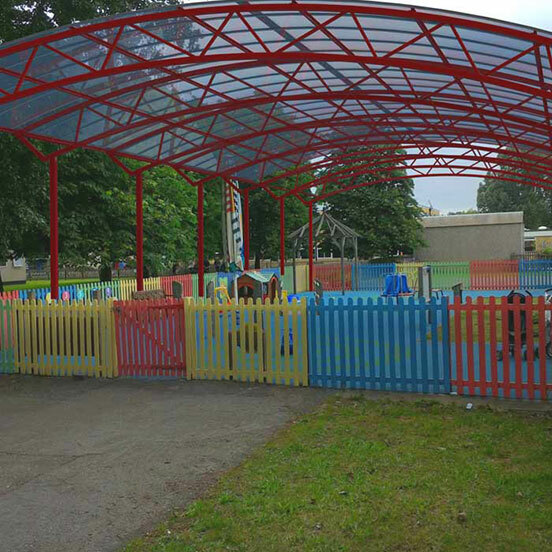 Our professional shelter fitters will then install your bespoke shelter at your preferred site. 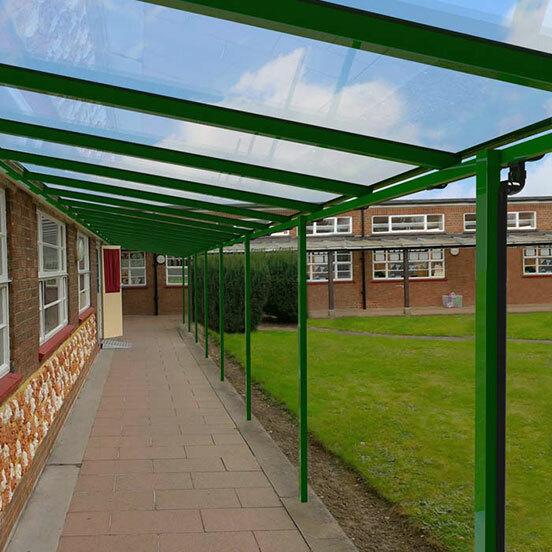 Our in-house design team can design anything to your specification from bespoke stand-alone shelters, to bigger projects such as Walkways and Entrance Shelters. 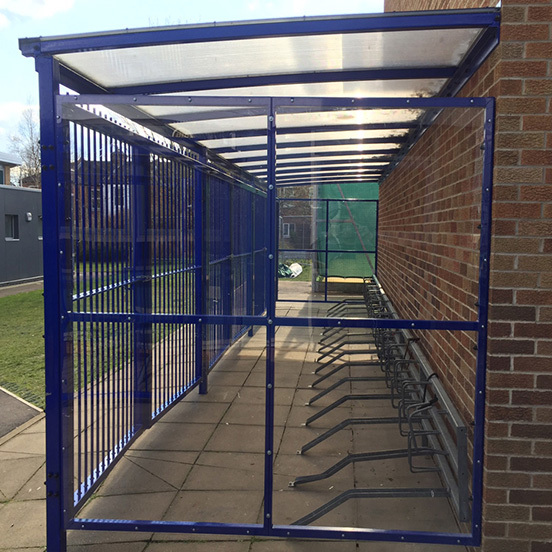 Request a Free No Obligation Estimate, email our sales team your proposed application for the shelter, and the capacity required (for example a cycle shelter, for 10 bikes). If you require installation it helps if you can send an image of the intended area, and give a postcode of where this is situated. If you have any questions at this stage please call our friendly team on 0800 1777 052, they will answer any queries you may have. We will raise a no obligation free estimate based on your requirements, usually within a couple of days after receiving the request. Within your quotation pack will also be useful information such as case studies, links to free downloadable guides such as our popular funding guide and of course your estimate! 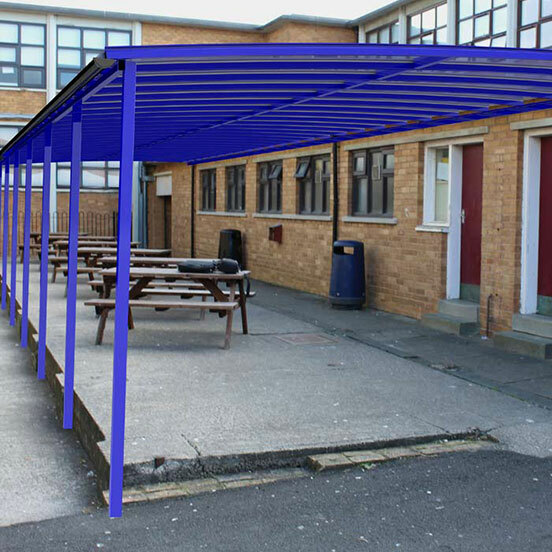 We will visit the site and at this stage our design team will finalise the finishing specification of your shelter, walkway or canopy and add it to the production schedule. 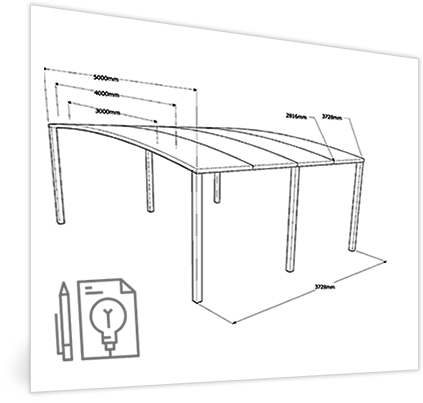 Don’t forget if you need technical specification or drawings we can supply these too. 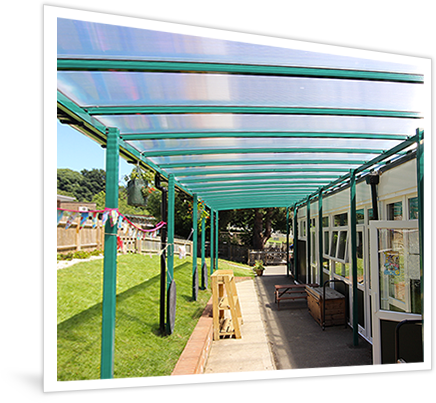 All of our shelters, walkways and canopies are manufactured in the UK and we're proud to be an ISO 9001 accredited company. 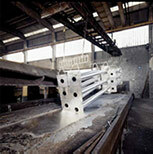 We use the latest technology and our team of qualified engineers check each structure for stability and durability. 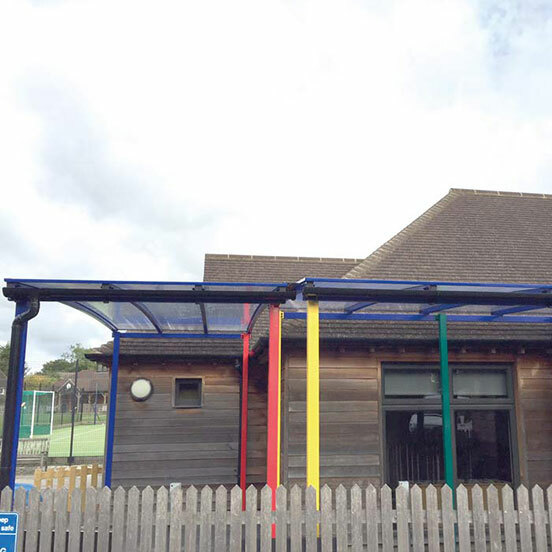 When your shelter, walkway or canopy is manufactured, we will contact you to confirm a convenient installation time. We work closely with you to ensure minimum disruption to your normal working day. We also have strict health and safety policies to ensure your pupils, staff and visitors are kept safe at all times. Your vision, now a reality! 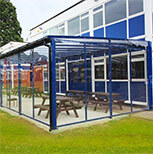 Don't forget we are here to help, so if you have any issues with your shelter, walkway or canopy, just let us know. Our market leading guarantees mean that you're protected for many years to come! 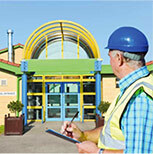 Call us on Freephone 0800 1777 052 for more information or alternatively click below to book your site survey. Looking for advice or an estimate?